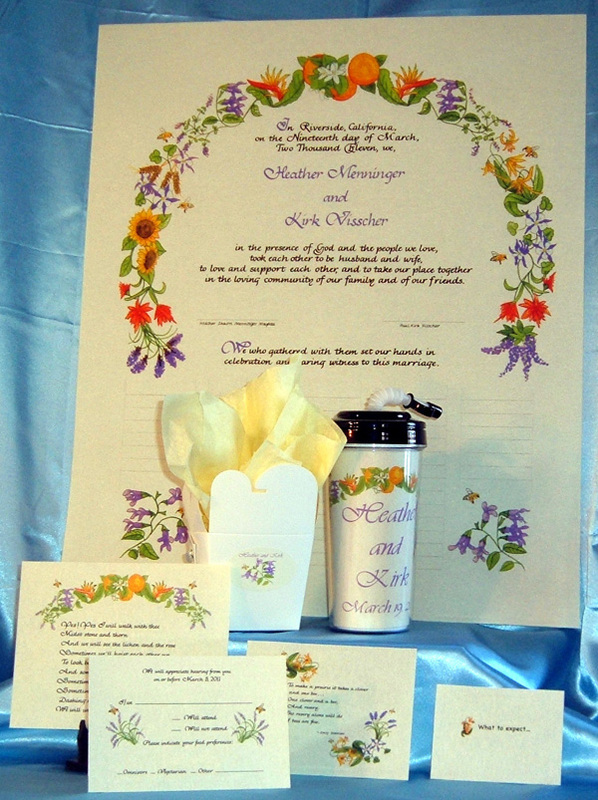 Add invitations, response cards, save the date, thank you cards, favor stickers, cups, or programs with your certificate's decoration. This couple wanted nvitations, response cards, save the date, and thank you cards with decoration to match their certificate. 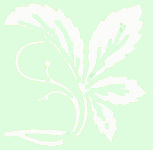 We did the calligraphy and artwork and sent them a "jpeg" file. 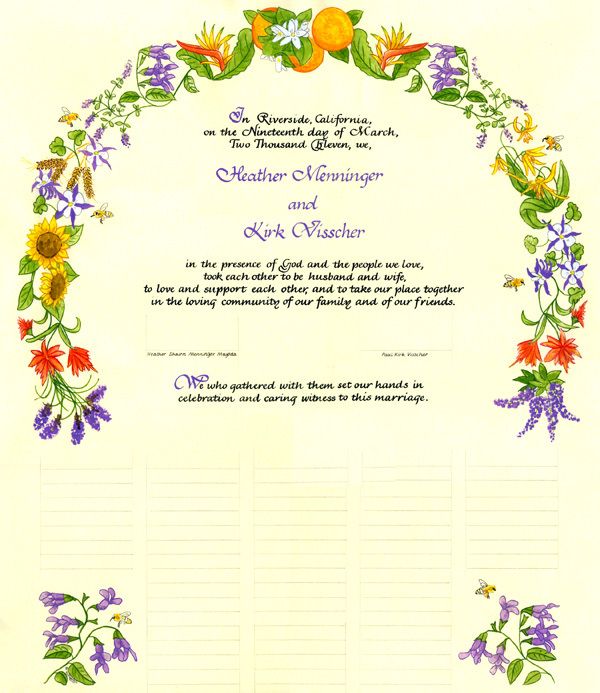 The couple used that to print their own invitations on a color copier. 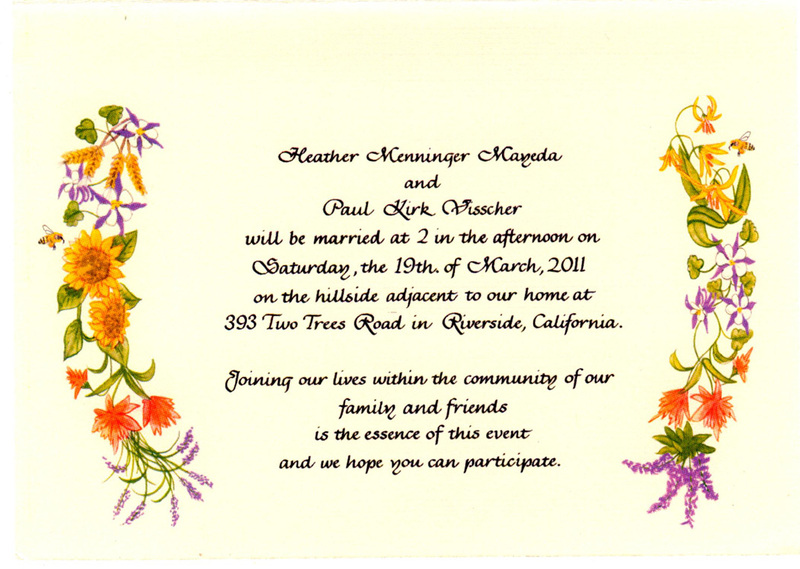 Above is the outside of the invitation. 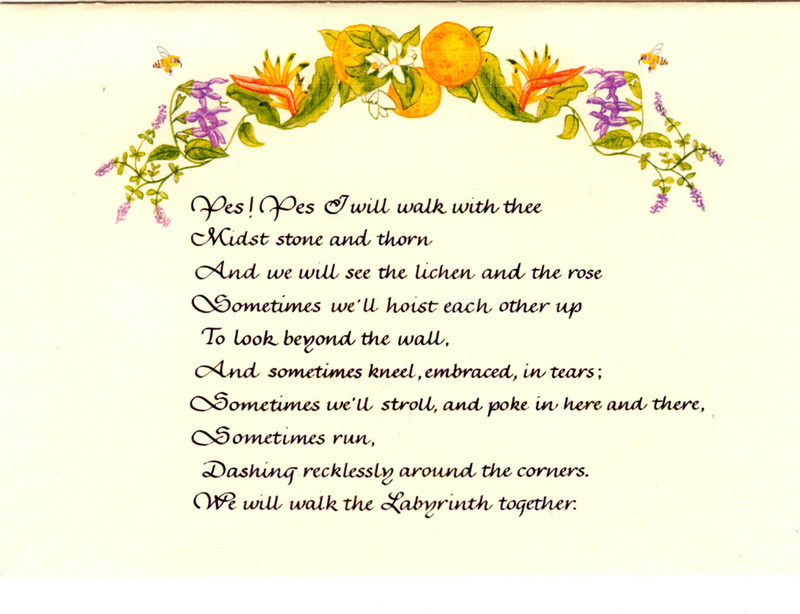 The groom composed the poem. 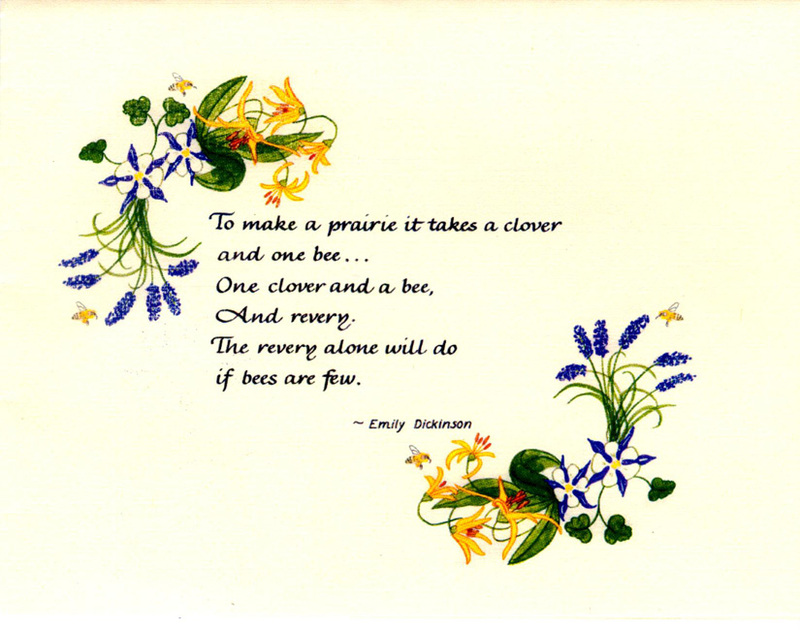 Above is the inside of the invitation. Notice the outside has an arch across the top and the inside has flowers on either side. As you will see below, these three parts will add up to create the complete omega decoration on their certificate. 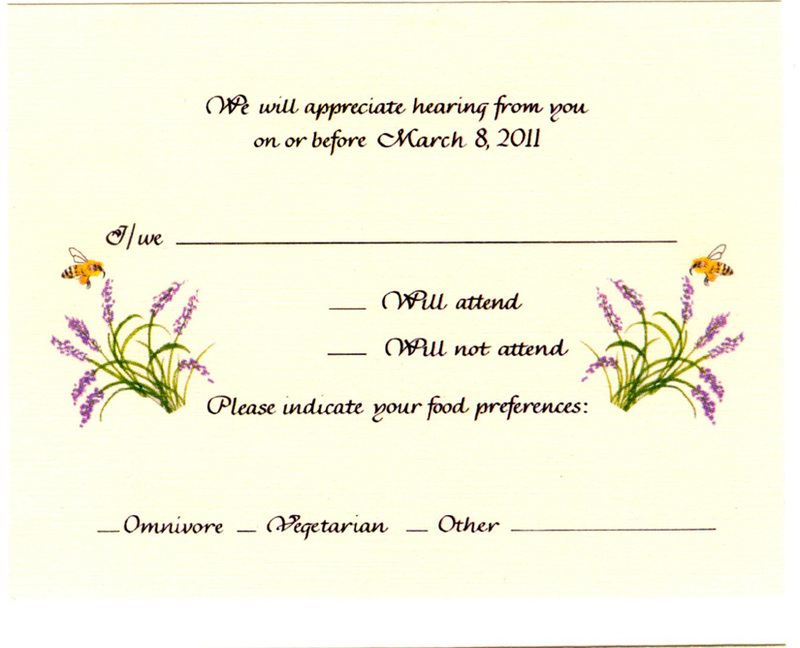 This is the response card for the invitation. 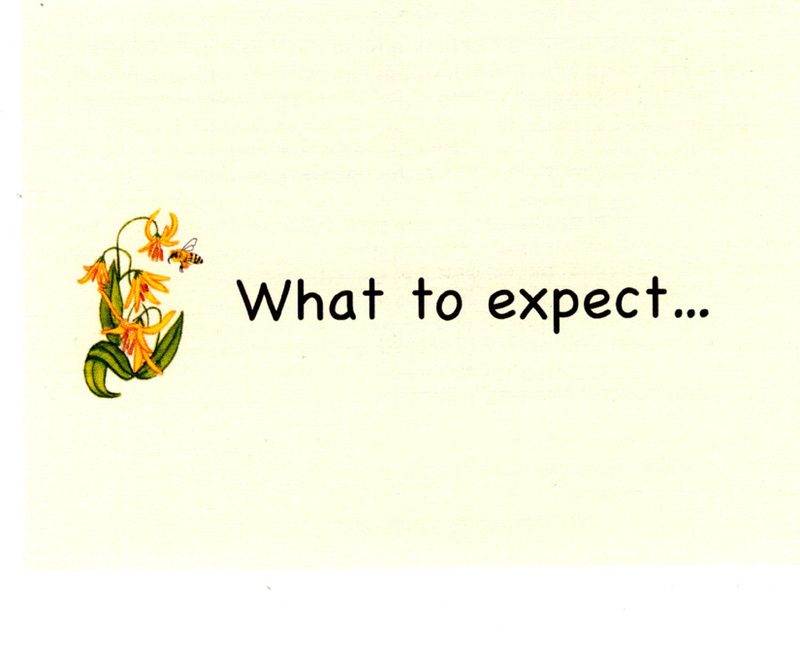 This is the outside of a note to the couple's guests telling what will happen the weekend of the wedding and gives information about hotels, etc. This is the outside of the Thank You note. The groom studies bees, hence we have bees throughout the set. And here is the complete certificate. Now you see all the parts have come together. 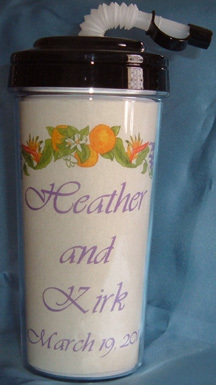 The three parts represent, top, oranges and flowers from California, where the couple lives now, on the left are the flowers from Kansas, where the bride was from and to the right are flowers from Montana, the groom's home state. 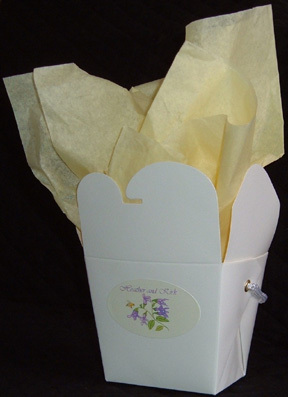 Complete the ensemble with favor boxes, placecards, seating chart, program and personalized drinking tumblers. Email me for more information and prices.